Plastic novelty toys might catch a kid’s eye, but they always come back to the good old wooden toys. 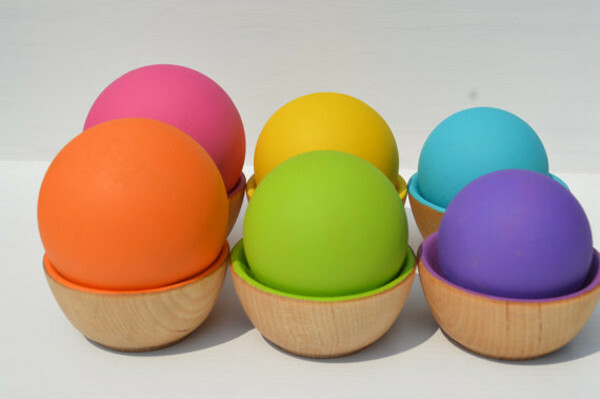 They are durable enough to withstand a good beating and don’t need batteries – what more could a child or parent want? These beautiful handcrafted wooden toys by House Mountain Natural are made for newborns, toddlers and children aged up to ten. The husband and wife team behind House Mountain Natural, who hail from Eastern Tennessee, use natural ingredients such as organic olive oil, beeswax and baby-safe soy paint. 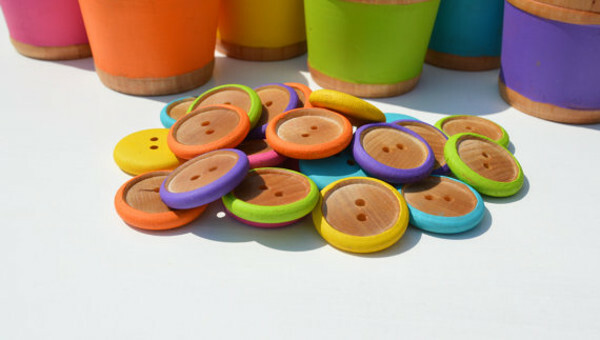 Their toys are inspired by Montessori and Waldorf educational theories, so they encourage skills such as colour recognition and matching, and sharpen fine motor skills. The play food is impressively lifelike. 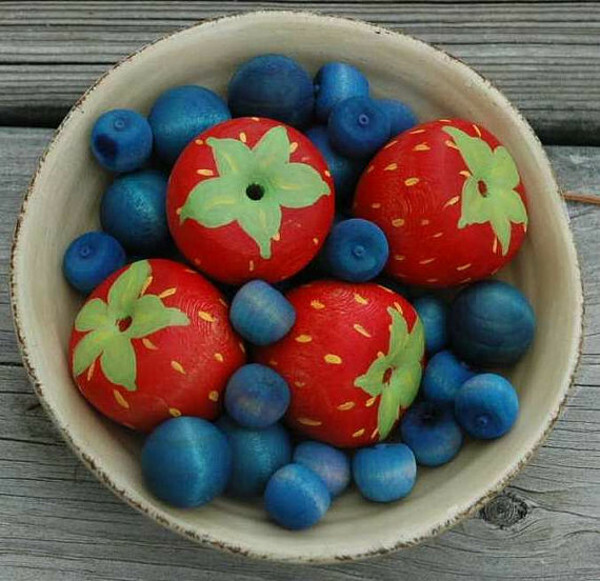 You’ll need to take a second look at the strawberries and blueberries because they look so much like the real thing. 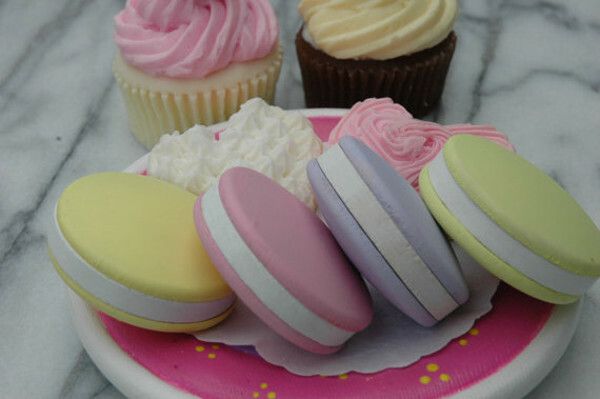 And the pretend macaroons and doughnuts will make the centrepiece of any tea-party. The sorting toys make learning fun and are full of bright colours. 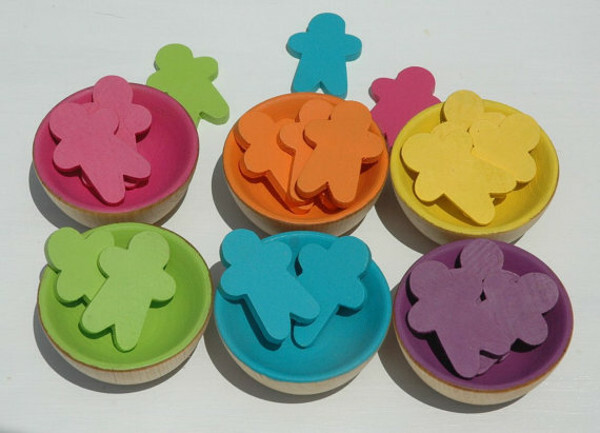 And the baby and toddler toys, such as the rainbow balls and bowls, are perfectly sized for little hands. All of the House Mountain Natural toys can simply be washed in soapy water, but if your bub is teething it’s best to go for the unpainted toys. Baby sets start at $22.05 while individual toys start at $8. Toys can be made to order. House Mountain Natural ships to Australia upon request.